This is a very good Electronics application project on Speed Detector For Highways. The report contains all the details how to make a project. 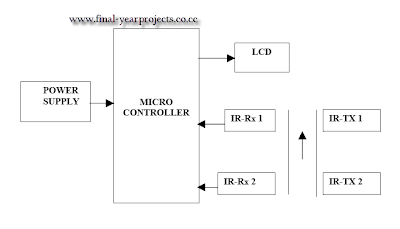 This is a microcontroller based project. The objective of the project is to calculate the speed of the vehicle by using the following methodology. In this project we use IR sensors to detect the presence of a vehicle. You can also Subscribe to FINAL YEAR PROJECT'S by Email for more such Projects and Seminar. The above image show the block diagram of Speed Detector For Highways, this project is also called. According to this project, 2 IR sensors are placed apart with a fixed known distance. When ever IR rays are interrupted by a vehicle during first sensor the count up timer is started. 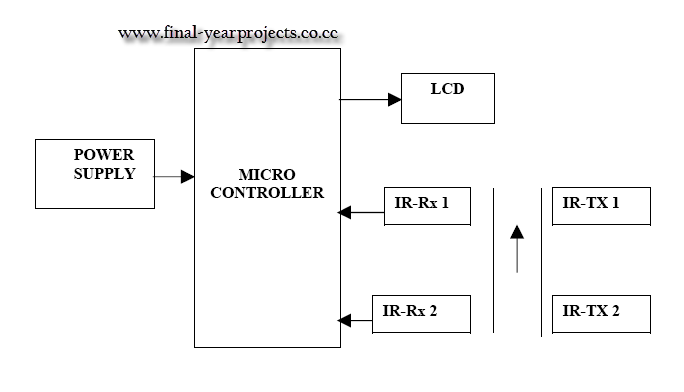 The report contains the circuit diagram, working details, conclusion etc. Us this for your reference work and study.